My summer course starts on Monday and I’ve got a lot of reading to do before then, but there are a few things about today that I want to fill you in on while they’re still fresh in my mind. For starters, it’s Bastille Day so in your honor (and as you always did) I bought two French crullers at Dunkin Donuts and took them to Amy’s house, where Daddy, Ian, Amy and I had lunch this afternoon. I didn’t know that she’d made a peach cobbler (with fresh peaches from the Union Square green market) for dessert so we sent the crullers home with Daddy…along with the suggestion that he have them for a snack with coffee – one tonight and one tomorrow. But, I’ve already gotten ahead of myself. Before I even got to Amy's, I went to minyan and Torah study, where this week’s parashah was Pinchas. 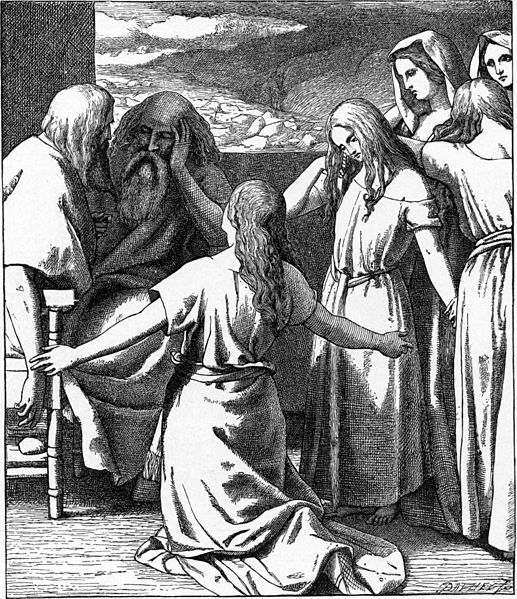 Although it’s not Lech L'cha, your favorite, I know you loved those feminist daughters of Zelophehad – Mahlah, Noah, Hoglah, Milcah and Tirzah. It seems to me that you—who frequently was dissatisfied with the status quo—would think it especially fitting that the parashah in which these five sisters asked for and obtained a hereditary hold on their father’s land coincides with the commemoration of the uprising at the Bastille prison that marked the demise of France’s royal leadership and led to sovereignty for the people. So many people fighting for change...it's all good. Anyway, I need to go do some of the reading for class on Monday night, but wanted you to know about the day…it’s one you would really have enjoyed and I’m sorry you weren’t here to share it with us.